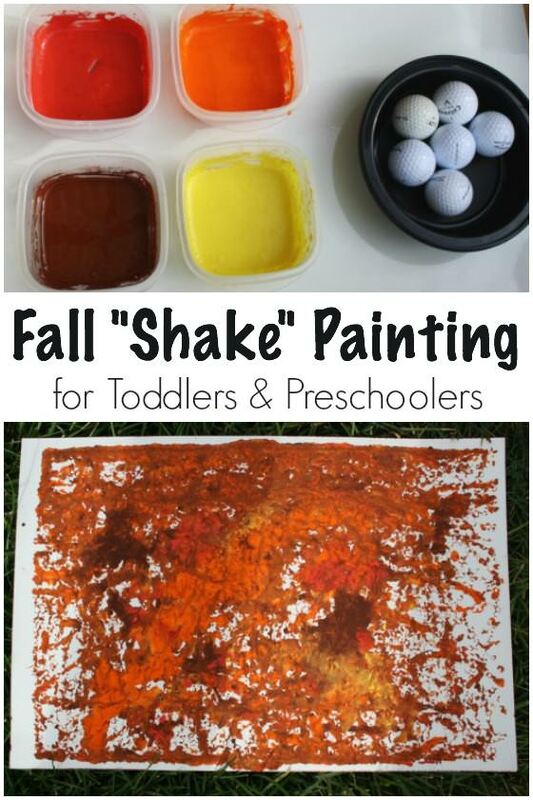 Here’s a Fall art activity for toddlers that will get them moving and shaking while they creatively explore the colours of Fall. 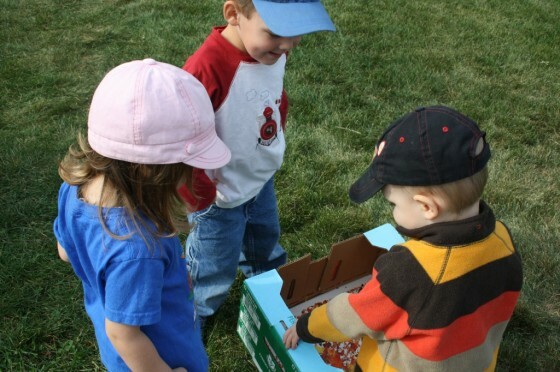 Golf balls, paint and a cardboard box are all you’ll need for this easy preschool activity. We’re getting right into the fall crafts these days..Today we were painting fall colours with golf balls! 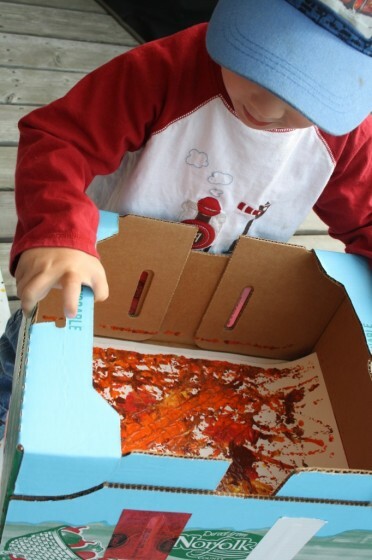 I’ve seen so many posts that have kids painting with marbles in a cardboard box, and I’ve wanted to try it here for a while. We don’t have any marbles, but we have a huge bucket of golf balls, and I’ve heard they work well too. Do they ever!! 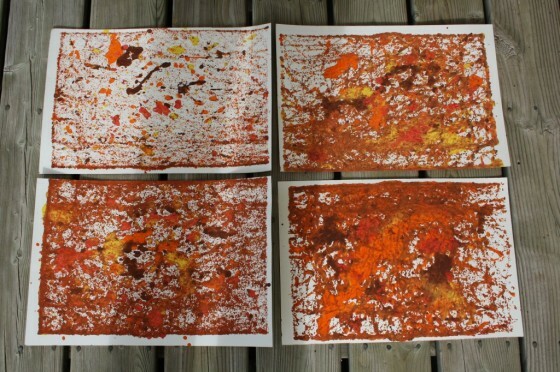 This was one of the funnest art activities the toddlers and preschoolers have done this year. I love that it’s easy enough for even the youngest children to have complete control over. 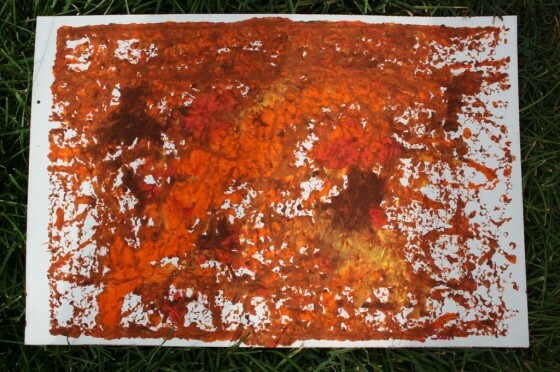 Before the kids got started on this easy art project, we talked about Fall in general. We discussed how Fall can also be referred to as Autumn, how the weather turns cooler, how the leaves fall of the trees, and how those leaves turn colour. Then we looked at the trees around us, and noted what colours of leaves we could see. The children identified the colours red, orange, yellow and brown. I asked them if they’d like to create some fall art in those colours, and of course they were excited. They jumped up and down, saying “Yeah! Yeah! Yeah!”. 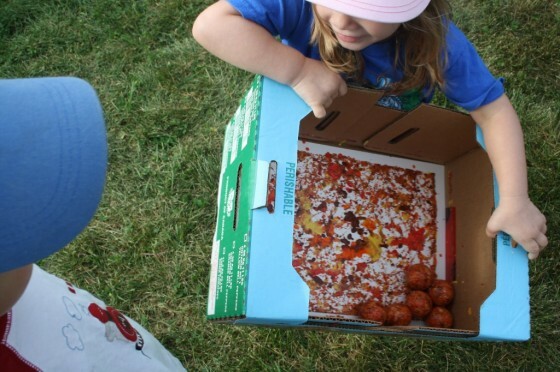 Don’t you love how excited little kids get about the simplest things? We put a piece of white cardboard (you can use any kind of paper, or card-stock. We just happen to have a lot of white cardboard) into the bottom of a cardboard box. 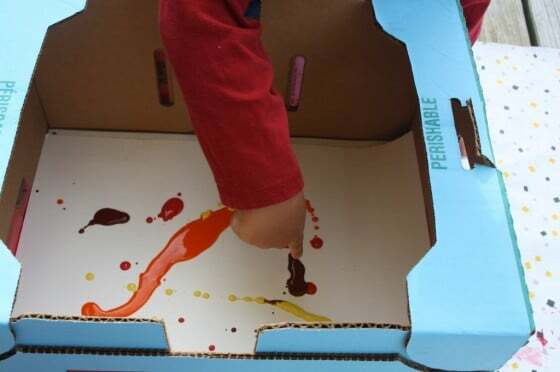 Then we dribbled Tempra Paint onto the white cardboard (this was the only part of the activity that I participated in, simply because I wanted to control the amount of paint that went into the box – you don’t need a lot. The Hooligans tossed the golf balls in, and then they tipped, tilted, jiggled and shook the box, and let the golf balls do their thing. They jumped and bounced and danced around, shaking the box back and forth and up and down, watching the golf balls make tracks through the paint. They found it so exciting to watch their white paper transform into a colourful piece of art. I loved that they were all so supportive and encouraging of whoever was shaking the box. They cheered each other on, saying “Good job”, “That’s the way!”, and “You’re doing it!” to each other. The results were truly beautiful. What was really neat, was because the centre of the golf ball is making the tracks, our paintings naturally had an unpainted white border all around the edges. 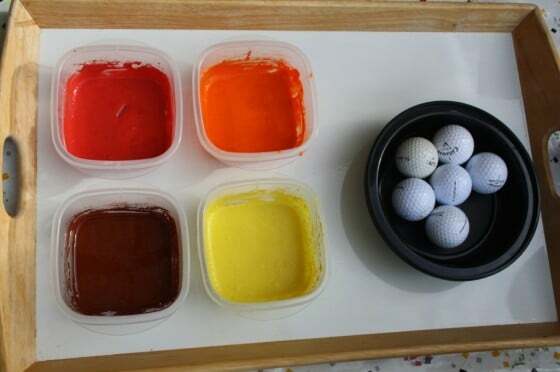 If your toddlers and preschoolers haven’t tried painting with golf balls, you have to give this art activity a try! It’s so, and the kids will have a blast. I think these pieces will look lovely displayed in our play room. this looks fun! did you use lots of balls at once, or one at a time? We had 5 or 6 zooming around at the same time. 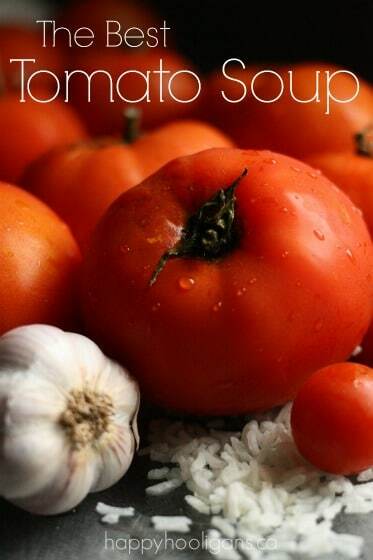 I would recommend a box with tall sides. Ours even had a wee edge around the top which really stopped them from popping out. We did a similar project with friends not to long ago. 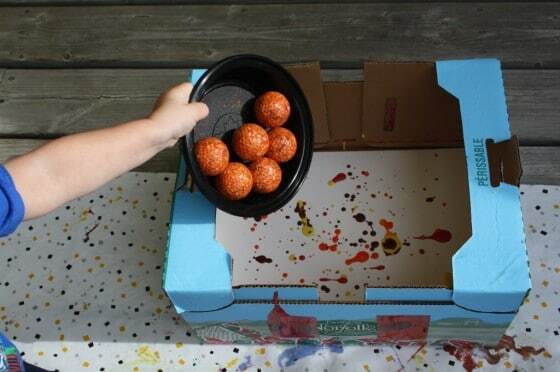 We used tins and ping pong balls but same concept. Heheh .. 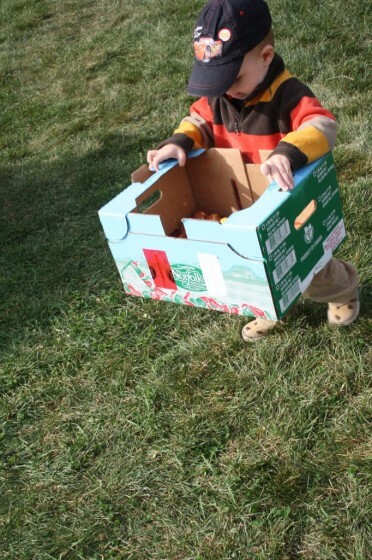 I love the idea of the cardboard boxes and golf balls. The colors are gorgeous!! 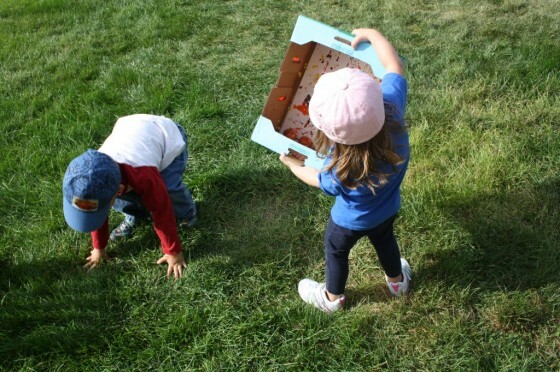 Around my little ones, though, balls tend to get thrown at some point so I think next we will try out the cardboard boxes but stick with the ping pong balls for saftey. 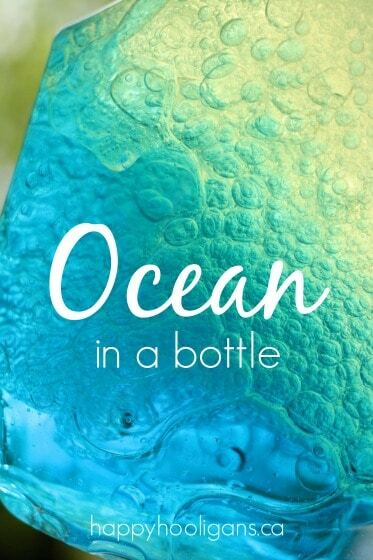 🙂 Beautiful work!! How fun! You could then take the painting and use it to die cut some leaf shapes. 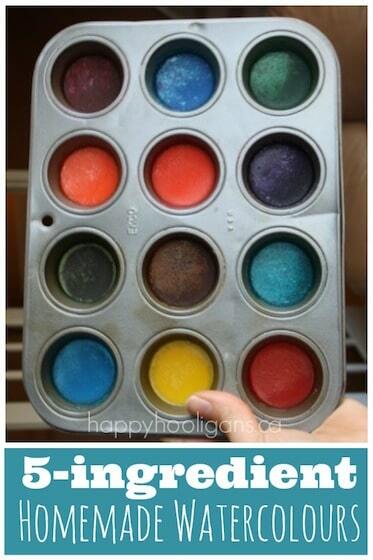 My pre-school kids love doing a mini version of this, Marbles in a 9″ round (or square) tin baking dish! 🙂 so much fun!! Yes! I loved the “border” too. I didn’t even expect that, so I was surprised when it turned out that way. Thanks for coming on board! We use different sized marbles and the results are marvelous!!! That would be pretty! I imagine bouncy balls in various sizes would work well too. The possibilities- you could cut leaf shapes out of these! 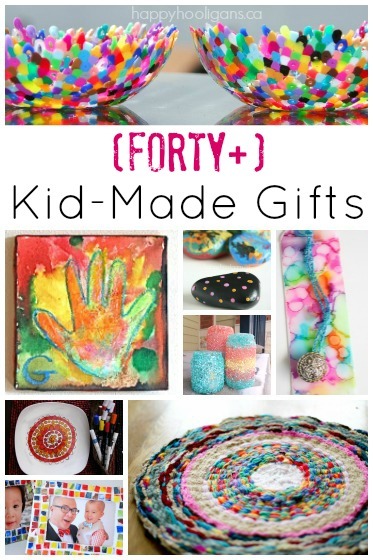 Thank you for linking up to The Sunday Showcase! so fun and they really look great! the way the colors mixed was perfect – so fall like!!!! thanks for sharing on the sunday showcase & I’ve shared on FB & twitter. 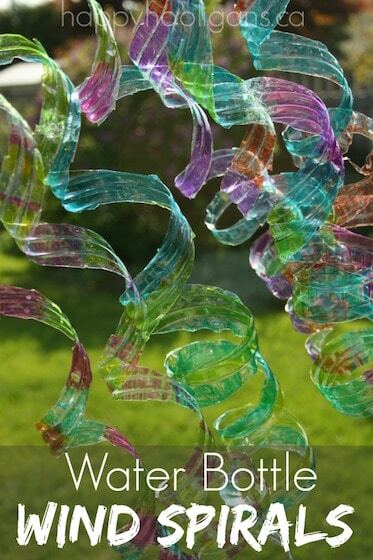 I’ve done this using marbles & different coloured & textured paper. Now I know what to do with all those Costco boxes!! Thanks Jackie! Did this yesterday- a lot of fun for my 2 year old, and my husband was really impressed with the results. We just used 3 golf balls. Yay! Isn’t it a fun process? So glad you gave it a try! I have also take a long sand table, or similar table, and let the kids roll/toss the gold balls to the other end. They love doing this!